During this record we hear the band take a new direction, with singer Mark Kozelek bringing some inspiration from his own solo work. 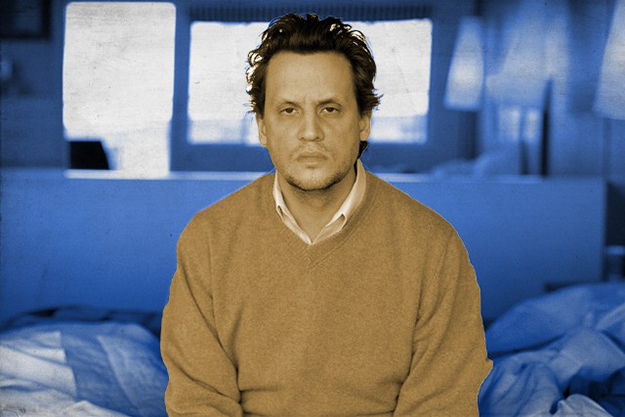 Each of their previous albums has something to offer, Mark Kozelek lends a helping hand with his brooding and soft vocals and approach to lyricism. So if you’re unfamiliar with the group start with Among The Leaves, their fifth studio album, its perfect for lazy summer days. The title track is hard not to fall in love with. Taking a different approach from his usual singing style we hear singer Mark Kozelek grace us with some spoken word stories. The album is a musical journal of the band’s 2017 tour, tying with some of Kozelek’s memories of the cities they are performing in. A very comedic ride, the album sounds very much like you’ve just met an old friend for a catch up and a drink but he’s had one too many. With the opening track “This Is Not Possible” we’re taken on a jazzy ride through the struggles of touring life. A very amusing and hazy rant involving issues that have occurred at various venues, usually involving food and drink orders. Who’d have thought listening to a man recount sleeping through a hotel’s dinner time would be so enjoyable (luckily the guy from the kitchen recognised him as the man who likes Tagliatelle, ‘that’s sweet thanks for remembering’). The slow drum beat, bass line, and sweet guitar licks work well to allow Kozelek’s voice take the centre stage. The instruments setting the tone for the steezy and lethargic nine minute ride. Oh and the not so subtle, yet brilliant, dig at Donald Trump. A very moody ramble of a track. Next up we hear the title track, “This Is My Dinner”. Mark’s tribute to Norway, a place which seems to have left its mark on Kozelek (see band’s earlier track “Ǻlesund”). Although still following the same sluggish pace we hear the instruments get a bit more sentimental. The lyrics however stick with the same comical, yet moody approach to storytelling, but get a bit more crude. Mark recounts past lovers and travels, gigs and hecklers. Another long ride, 12 minutes of storytelling with some more melodic instrumentals. The third track “Linda Blair” continues with the hilarious ranting, written to the tour’s destination of Poland. Seat 2C Oslo to Warsaw, Norwegian Air. It’s 9am and the little girl behind him has a demonic cough which sounds like Linda Blair in the Exorcist. Melodic modular blips, some more sweet licks, and slow drums pave the way for this part of the journey – ‘I hope it’s just a common cold and nothing too serious. If it’s a serious medical condition, I hope the Lord blesses her’. Now we’re onto the small amount he knows about Poland. His Polish roots that he’s ‘Never really looked too deeply into’, a famous boxing match and when the band played a metal festival there. I find myself chuckling through most of this track. An unprovoked dig at The Eagles and Steely Dan, then he shares some love for AC/DC, Neil Young, ZZ Top and Queen in a boisterous manner. Stick with him here, he’s just venting. There are a total of 10 tracks to this album, but I’ll leave the rest a surprise! Despite being initially disappointed that I wasn’t going to be hearing some of the band’s warm, soul searching folk, which I have fallen in love with over the years, I found myself thoroughly enjoying this album! An album that I may find myself going back to a couple more times, but it is a very hard sound to place. If you’re not going to be listening to the stories being told, then there isn’t a lot to offer here. The tracks are very long, but you will find yourself head bobbing along with them. A refreshing take on music, it seems Mark Kozelek had some stories which needed to be told outside of the band’s usual nature. Though I am glad he opted for the ‘A Night With *Insert Artist Here*’ take on them.